The storm I was trying to will into our area appears to have fizzled out and will not make it down with any favorable precipitation. That is unfortunate, as the high pressure ridge to our west will move north for at least a week and block anything from coming into our area. It will get windy on Tuesday and a cold front will pass through the area. However, that will only drop temperatures to average for this time of year. However, those temps will quickly move to above average and stay that way for the next 7-10 days. The following is a look at the total precip for the next 30 days. This also looks very promising as a large part of Tahoe is in the 10 inch range, while all of Tahoe is in the 8-10 inch range. 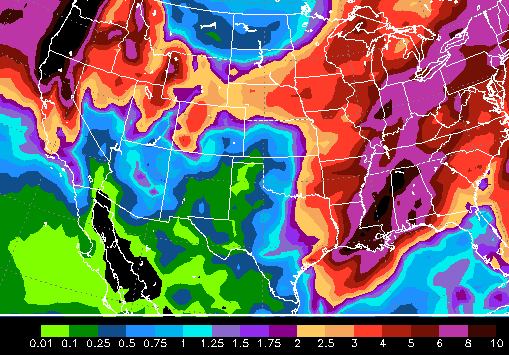 That is total precip over the next 30 days. 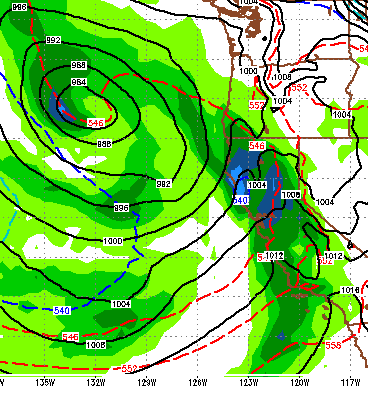 However, the great majority of that precip could fall in the later parts of February and Early parts of March.